Being raised on a small farm in Norway in the 1960s, I have always worked hard. I did well at school and supported myself financially from the age of 16. I achieved all my goals, and I soon made a name and a reputation for myself within the travel industry. In 1988, however, at the age of 25, I suffered a serious setback in my career. For the second time in my life, I survived a very bad accident, this time a parachute accident that crushed both my feet, putting me in a wheelchair and making me dependent on crutches for 4 years. The doctors had not seen anything like it before, and they thought that I would never be able to walk again. Four years and many surgeries later, against all the odds, I got rid of both the crutches and the wheelchair. I even skydived again, just a year or so after the accident, and went on an expedition in the deep jungles of Malaysia, wheelchair and all. The wheelchair was a handy companion on all my adventurous travels for many years, and I have visited more than 70 countries. After the accident I struggled for 20 years with pain and insomnia, and the last 10 years also with fatigue/exhaustion. I tried at least 20 different treatment methods over the years, but nothing helped in the long run. I did not want to pay any attention to my handicap or the pain, and I was working more than ever. At the end I was an angry and edgy wreck, and absolutely no good as a leader – neither for myself nor for others. I was introduced to Thought Field Techniques (TFT) in 2008, when I contacted a therapist called Mats Uldal. In just four sessions I snapped out of it. The method was practically a quantum leap within healing. As if nothing had ever been wrong, I just popped back to normal after 20 years, and I was overwhelmed with happiness and energy. From that very day I ended all my previous projects and devoted myself to TFT entirely for several years by learning it properly, helping others and becoming a trainer myself. My body struggled for a while to keep up with this new pace, but gradually it adjusted and got stronger and healthier. Uldal became my teacher, mentor and eventually co-worker for a few years. In 2009 I started teaching at his school, the Mats Uldal International School of TFT. In 2011 we established a humanitarian foundation together. The present name of this foundation is ‘Strong Again – from a troubled mind to a peaceful heart’. For a couple of intensive years I worked as a full-time volunteer on the development of his school’s education programme as well as establishing and securing a unique quality network of therapists. Thanks to this collaboration I have lectured, trained and demonstrated TFT in several states and countries in the USA, Africa and Europe. In 2013 I finally set up my own business. Learn more about TFT here. In the meantime I had been introduced to Tipping Point Methodology (TPM), a powerful new approach to creating empathic leaders for our rapidly changing world. 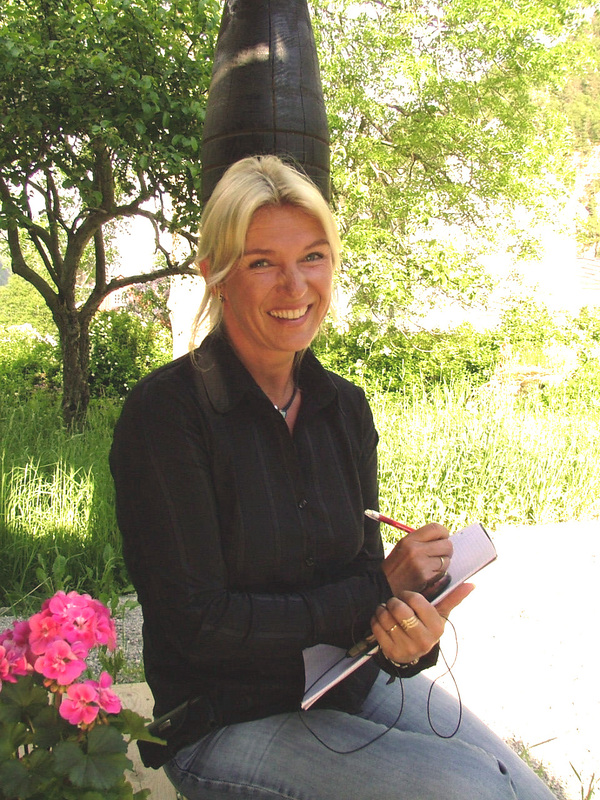 In 2012 there were only two experts on TPM in the world – the Norwegian couple and founders Mia Skriver and Terje Skriver. I joined their very first class at the TPM School in September 2012 as an observer. The intention was to see if TFT and TPM could find a platform for collaboration. I soon stopped being an observer and continued as an eager student. This was exactly what I had been looking for! As their projects Nordic Future and World Future took form simultaneously, I definitely knew why I needed to learn this. In 2012 I also joined ATL Europe (Association of Transformational Leaders) as a co-founder. There I met the fabulous Nicholas (Nick) Haines, founder of Five Energy Dynamics and creator of The Vitality Test. He totally blew me away with his knowledge about Chinese energetics, medicine and philosophy. I took his free online Vitality Test, and I was thrilled about the accurate information that came out. After one hour with Nick interpreting it in further detail on Skype, I was even more thrilled. This was a lot more than a personality test; it actually gave me an insight into myself that helped me both personally and businesswise. I joined his first class ever to certify Vitality Test Coaches, and I helped him translate the test into Norwegian. Learn more about The Vitality test here.